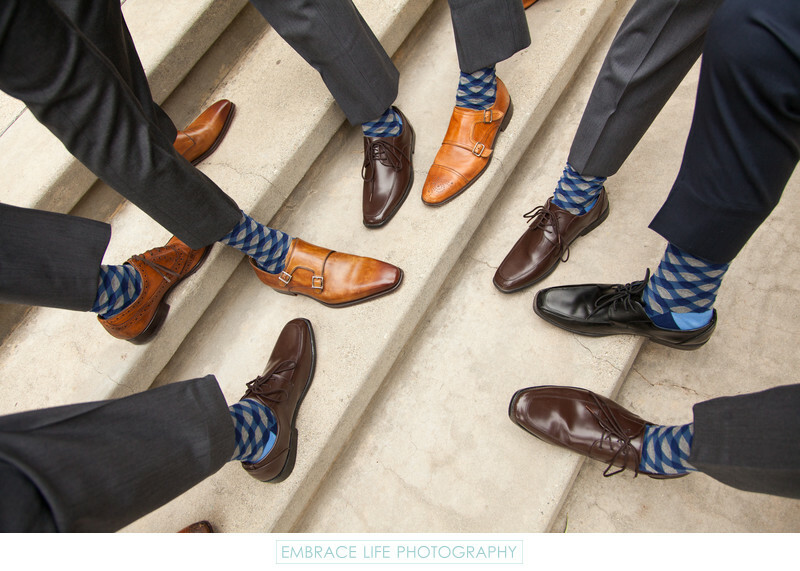 The groom at this Pasadena wedding gifted his groomsmen matching patterned blue socks. The guys wore matching grey suits, but their own brown leather shoes in a variety of styles and shades. In this photograph on the steps of the outdoor wedding venue, the groom and his groomsmen stick out a foot and lift a pant leg to reveal their coordinated socks.